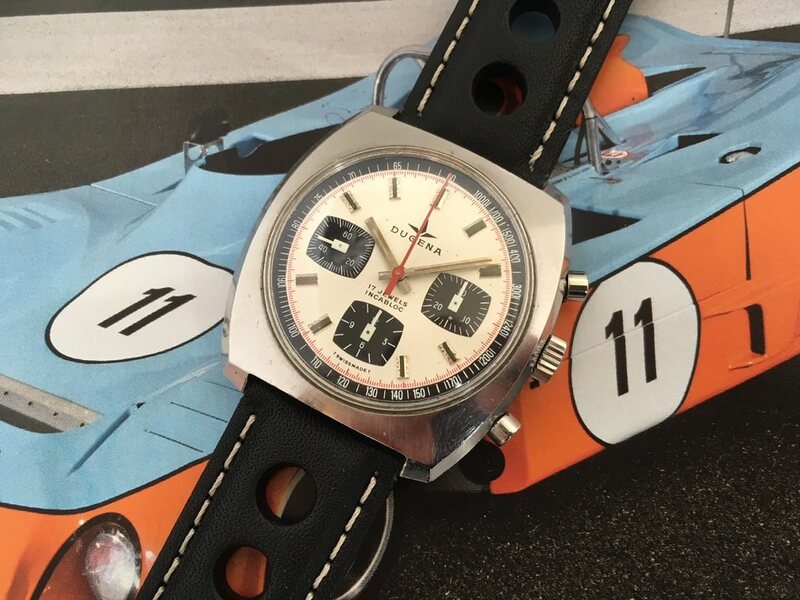 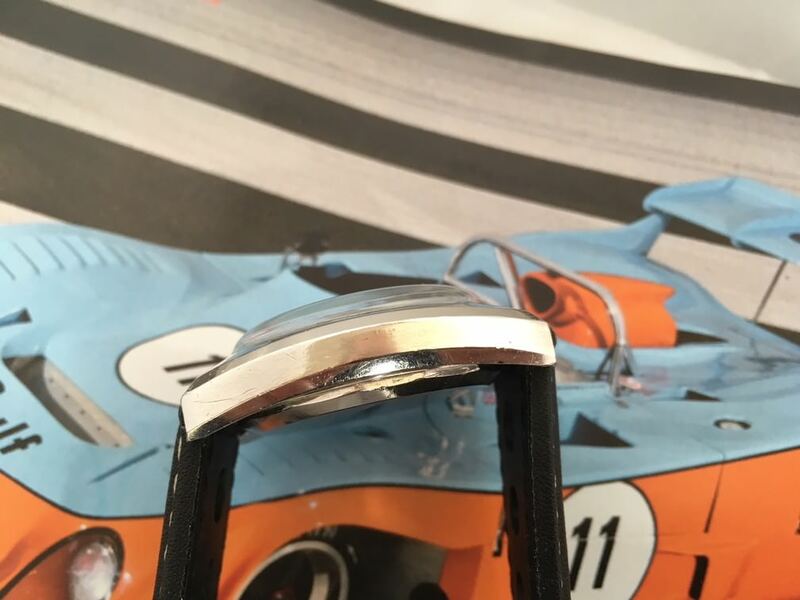 For sale from my personal collection is this amazing seventies Dugena 7736 Triple Compax Racing Chronograph featuring a Valjoux 7736 movement. 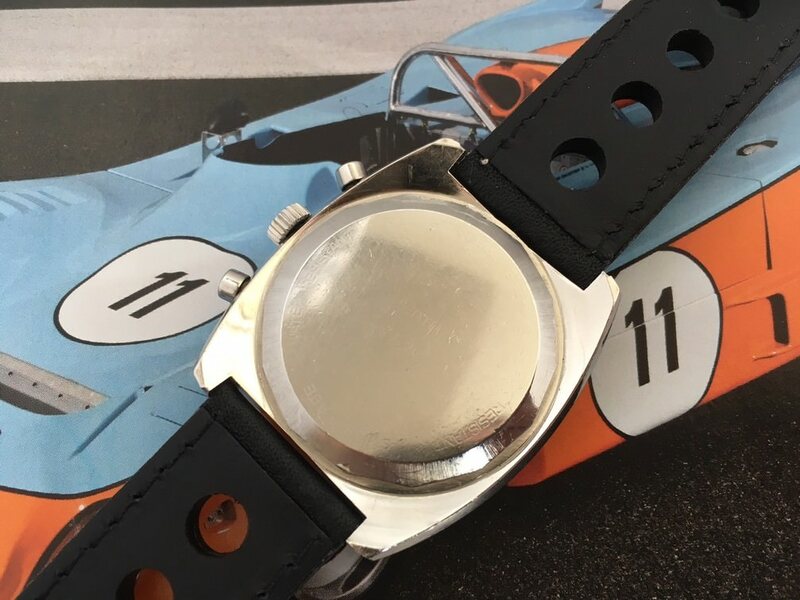 The watch is in excellent condition, it has got an acrylic domed crystal and a very beautiful panda dial with black subdials. 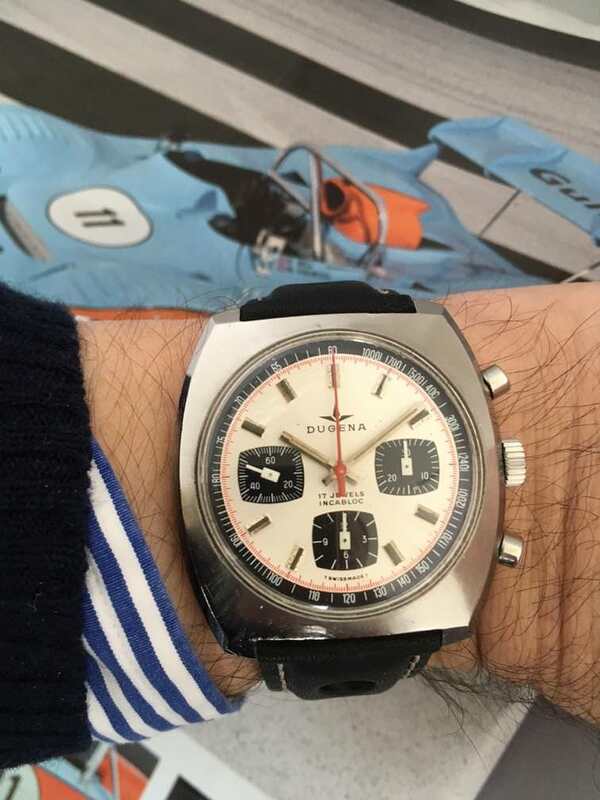 The chrono hand is red. 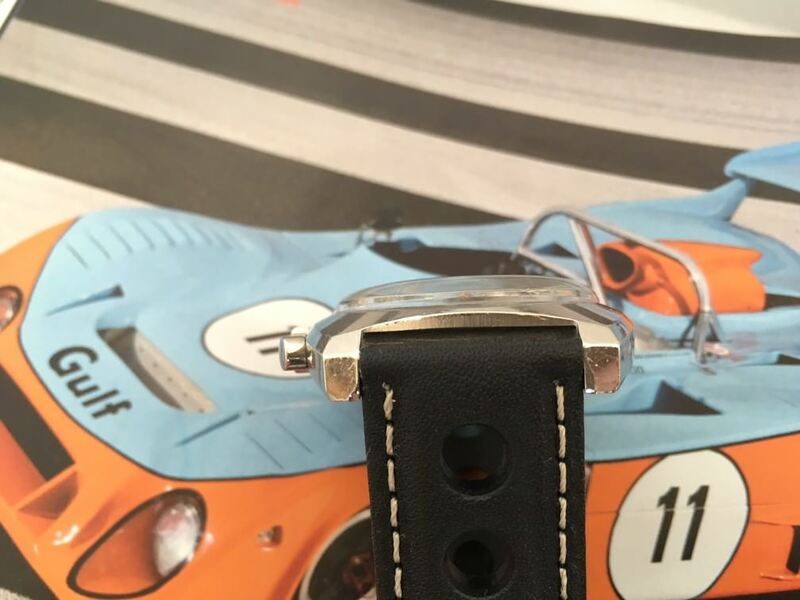 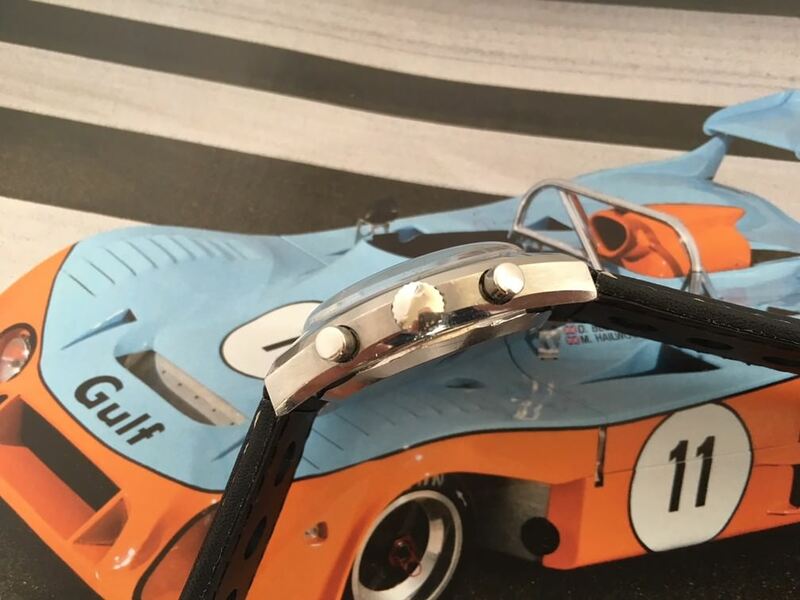 The stainless steel case has got a lovely sunburst finish on top and is in a great condition.